Kirabo Sylvie Kibarigaju during our brief visit with her in May, 2009. 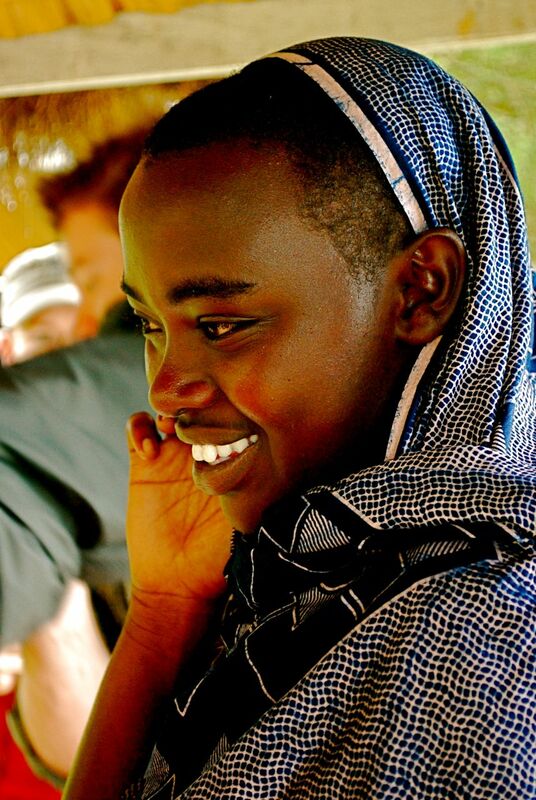 I began sponsoring Kirabo from Rwanda in April 2000 when she was 7 years old. In many ways I am sure it was a “good” thing for me to do way back then, but in other ways (and now looking back) I see that it was also pretty wretched. I could not see the wretchedness at the time, but I do now. You see, pretty much from the moment I signed up as a sponsor I forgot her name. I did not pray for her or write her letters and I did not put her photograph on my refrigerator like I knew I should. When I got letters from her, I actually felt guilty. “I must write!” I thought, but I hardly ever did. Ironically, I would use my sponsorship of Kirabo to feed a sense of my superior morality. “I’m one of the good people,” I’d tell myself. “I must be because I sponsor a poor little girl in Africa.” The amount coming out of my bank account each month, I thought, proved that I was better than most people. But in reality, Kirabo had become just another utility to me. The amount I’d see on my bank statement each month to Compassion was not buying me electricity, water or my rent. But, to me, Kirabo was buying me some religious self-righteousness. A bit of “I feel good about myself” and the right to say, “Don’t ask me to give more! I’m already doing my bit!” Like I said, I did not see it back then, but I see it now. I’ve been on a journey started back in April 2000. I’m beginning to realize that I have been looking at my relationships with materially poor people completely incorrectly for most of my life. They are not a religious obligation. They are a privilege and a beautiful and mysterious opportunity to connect with God. I met Kirabo in 2009 as the beautiful 16 year old young lady that you see in this picture … and Rafiki and Sandrine. I have not met Martin in Uganda yet. These kids have taught me more about God and His amazing grace and what it means to worship Him – to show the worth of God’ grace to me – than anything, or anybody else. I am forever thankful to Compassion International and Compassion Australia for the role they have played to bring about the healing of at least some of the illness in my heart.